G ail Pierce, on behalf of the Coldwell Banker Tara Properties’ Community Fund, presents a $500 check to Shawn Nowlin, the Community Outreach Coordinator of the Good Cheer Food Bank. The Community fund contributed to all three Whidbey Island food banks in December as well as Helping Hand, the Senior Center, Readiness to Learn Foundation, and Big Brothers and Sisters of Island County among others. Coldwell Banker Tara Properties’ Community Fund is celebrating its 20th anniversary in 2014. They have donated hundreds of thousands of dollars to scholarships, non-profit agencies, and families in need over the years. Part of every commission earned goes to finance the Community Fund which in turn is used to donate to worthy Whidbey Island groups and individuals. Coldwell Banker Tara Properties is a Winner! Great job everyone (especially Kim Kramer and Gail Pierce)! 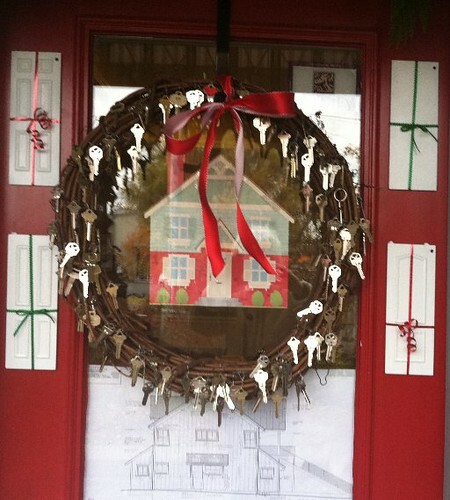 Langley is holding a ‘Deck the Door’ contest, the proceeds of which will go to the Good Cheer Food Bank. Come in to our Langley office and cast your vote for Coldwell Banker Tara Properties and make a contribution into the ‘Plum Puddin’ Pennies’ box (ballot stuffing is encouraged!). Your contribution will be matched by the Coldwell Banker Tara Properties’ Community Fund. AND, you’ll be registering for two free tickets to The Nutcracker at the Whidbey Island Dance Theatre. Voting begins on November 25, so don’t delay!